The modern, American cheesecake we all love was actually developed by a man called William Lawrence in 1872, as a result of his attempt to recreate the French cheese Neufchâtel. Thanks to his work, we can now enjoy the wonderful, creamy cheesecake in many different flavors and with lots of topping to try. The cheesecake is a classy dessert. It’s perfect for a Sunday sweet treat with the family or for a gathering with friends. If you are interested into preparing this creamy cake with other flavors, but including the classic recipe, check out the list below. This cheesecake is layered with graham cracker crust, ganache and with a thick and dense cheesecake. 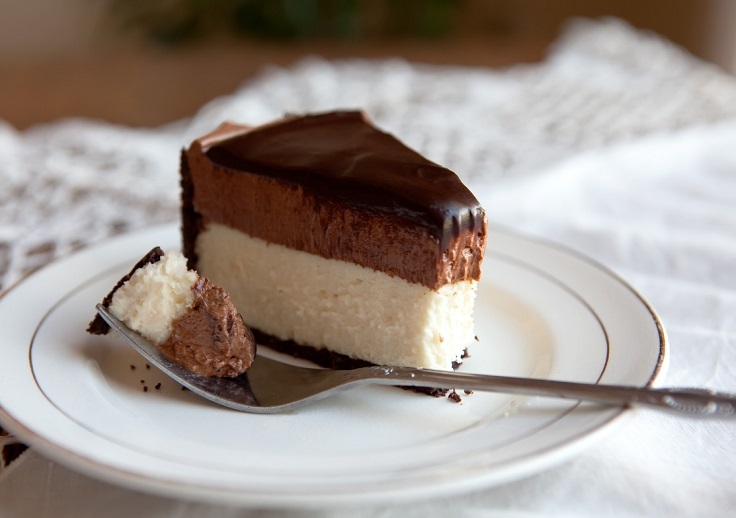 The topping is made of sour cream and on top of it, there is again drizzle of ganache. If you want more of it, instead of a drizzle, cover the whole cheesecake with ganache. 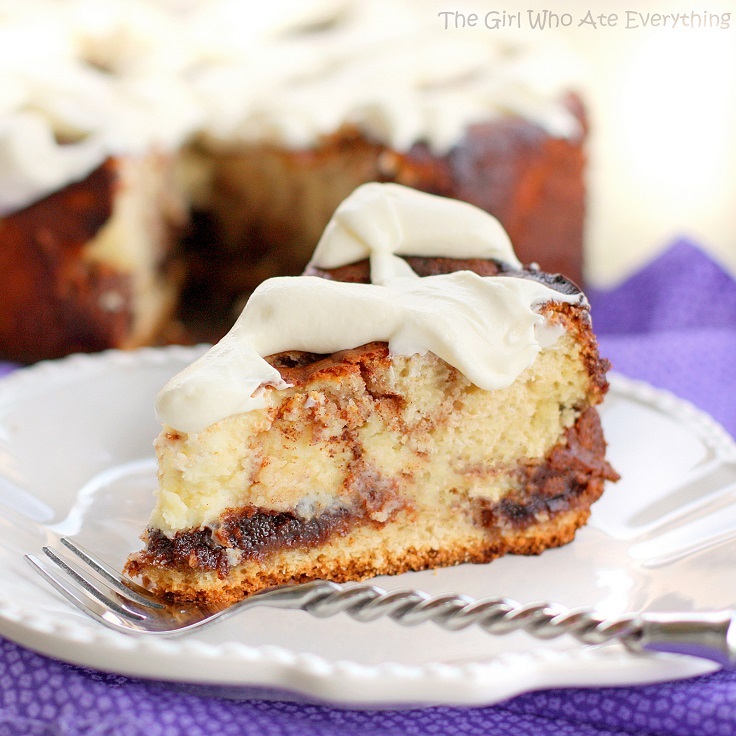 What makes so delicious this cheesecake is that it has a cinnamon roll dough base and buttery cinnamon swirled throughout. The cake has thick cream cheese frosting as topping. First you prepare the cinnamon roll base and then you pour the cheesecake batter. After that you drop cinnamon filling by the tablespoons on top. For topping, use the rest of the cinnamon roll base. Nutella lovers, you are going to love this recipe. You are going to love even more the fact that this chocolate cheesecake is ready in twenty minutes and you don’t even need to use the oven to prepare it. It is the perfect mix of cookies, cream cheese, Nutella, heavy cream and vanilla extract. Sounds perfect, right? So, take your eyes off the picture and start doing this amazing cheesecake. It takes ten minutes to be ready and you need only five ingredients to prepare it! Plus, you don’t even need an oven to make it. 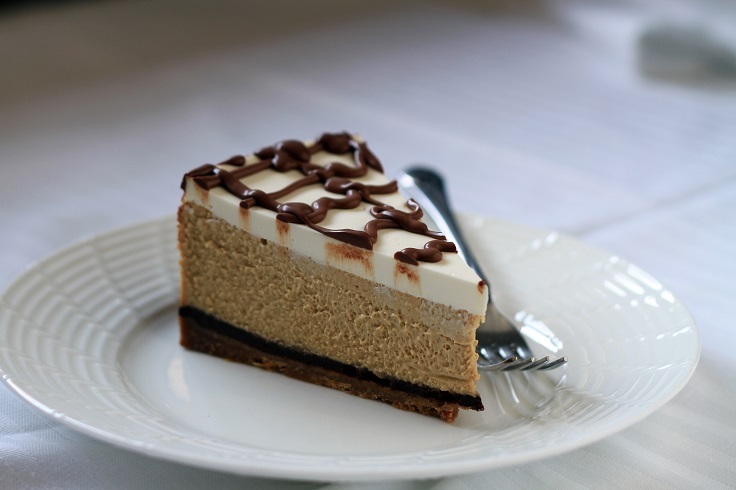 For this no bake cheesecake, you need peanut butter, heavy cream, cream cheese, powdered sugar and chocolate graham cracker crust, or you can use Oreo instead of that. 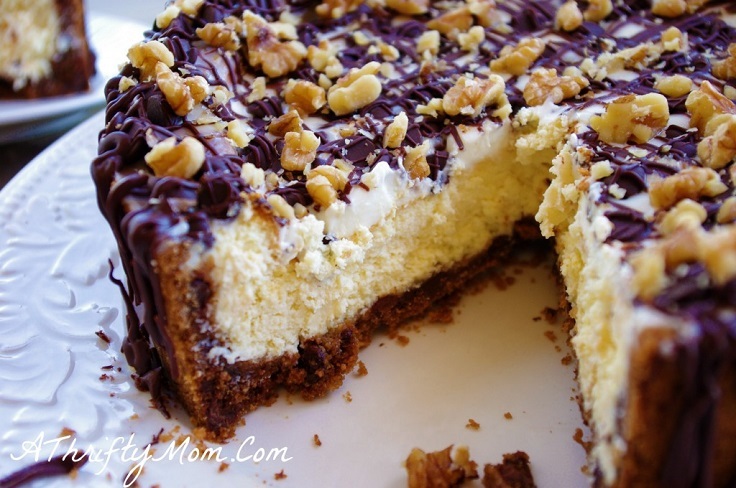 The cheesecake is really easy to make and it’s super delicious. This cheesecake is so delicious that it will make you crave for more of it. And of course, who can resist a chocolate mousse? Only this time everything is even more delicious because the mousse is combined with soft cheesecake. Before you start preparing this dessert, read carefully the instructions. There are many ingredients you need, so make sure you have them before you start with the cookiing. If you are fan of autumn/winter flavors, then you should definitely try this cheesecake, because it contains one of the most delicious flavors of that kind – the pumpkin. 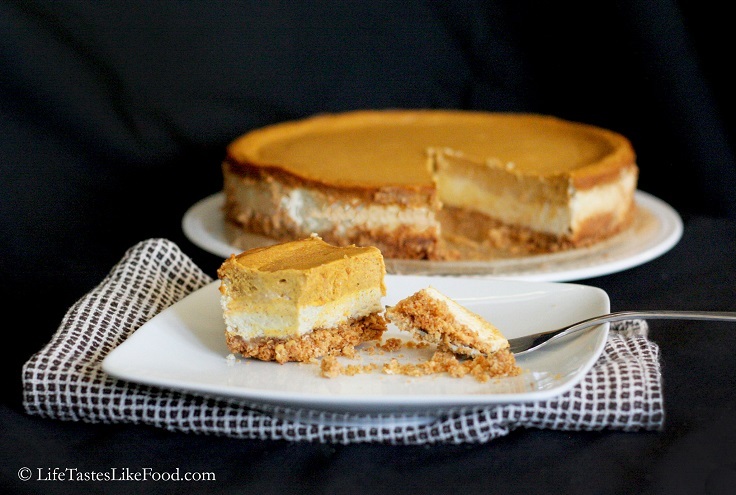 Besides the pumpkin, the cheesecake is wonderful also thanks to the cinnamon, the cream cheese and the vanilla extract. 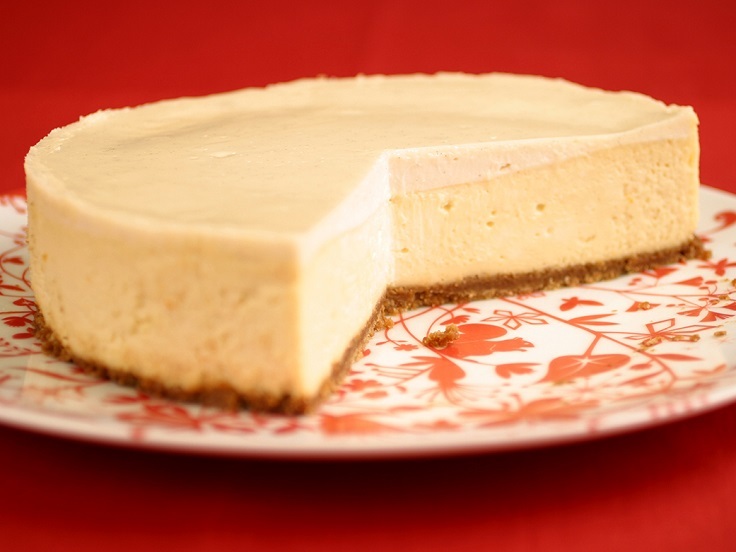 What you get is a soft, creamy cheesecake with a crunchy base. Enjoy it! The cookie dough fits perfectly even in a cheesecake. It makes it taste so delicious, that you’ll be craving another piece in a minute after finishing the first one. Just look at the topping, isn’t it perfect? It’s made of sour cream and powdered sugar, with melted chocolate chips and chopped walnuts. 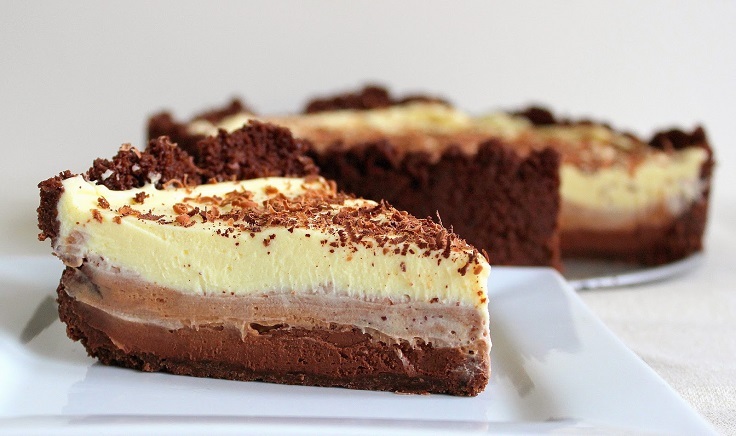 Chocolate, creamy and cheese-y dessert you must try. This one is especially for the chocolate lovers who know that one layer of chocolate is never enough – that’s why here we have three of them. It contains the three types of chocolate – dark, milk and white one. 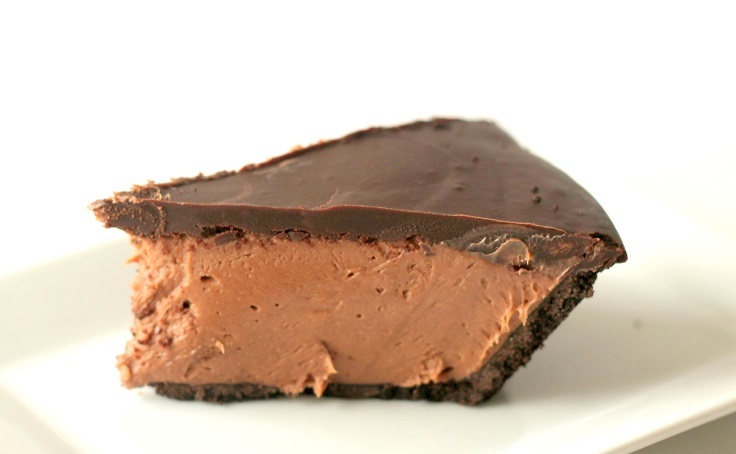 Combined together with the other needed ingredients, they turn out to be part of a creamy, chocolate cheesecake. 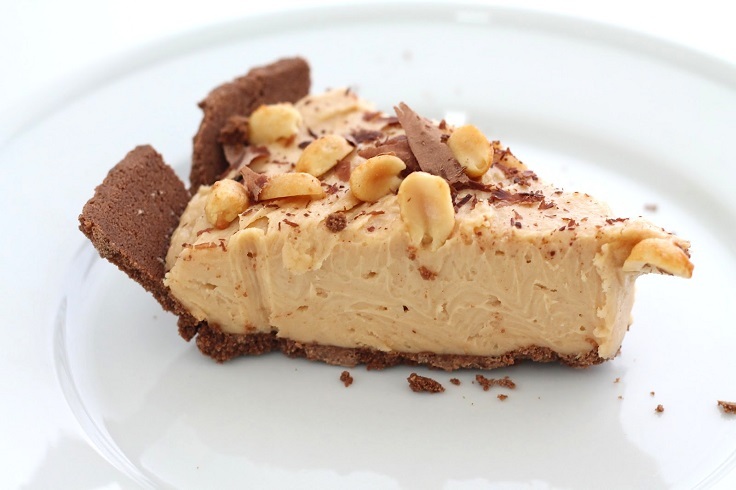 The crust is a combination of graham crackers and pretzels topped with a layer salted caramel, and then it comes the vanilla cheesecake layer. 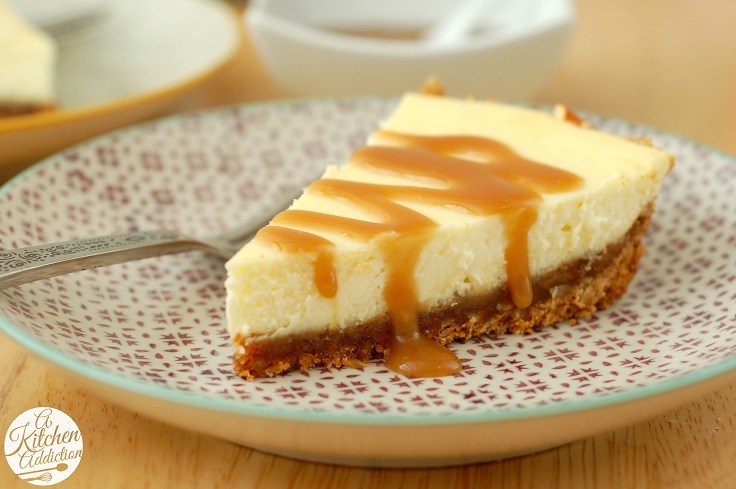 The cheesecake is the perfect combination of the creamy cheesecake, the salted caramel and the crunchy pretzels. If you never tried making a cheesecake by yourself and you want to learn how to do it, here’s the recipe for you. The whole process of cooking lasts about an hour and and ten minutes, but you should know that the classic cheesecake should be left in the fridge overnight. You can serve it with berries or melt a chocolate on top. The cheesecake might not be the easiest recipe around, but the result is so worth it.